Today Apple unveiled its first wearable device, the Apple Watch. 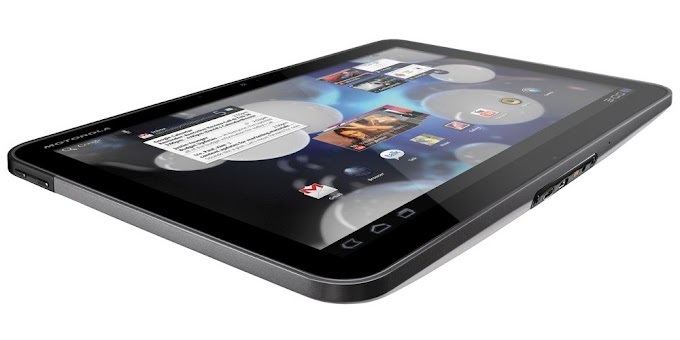 Its stylish and fashionable with a look that will appeal to the gadget lover and even the everyday user. Apple's CEO Tim Cook described the Apple watch as "An entirely new product. that will redefine what people expect from its category." The Apple Watch comes in two sizes, both of them have a rectangular slightly curved flexible display. 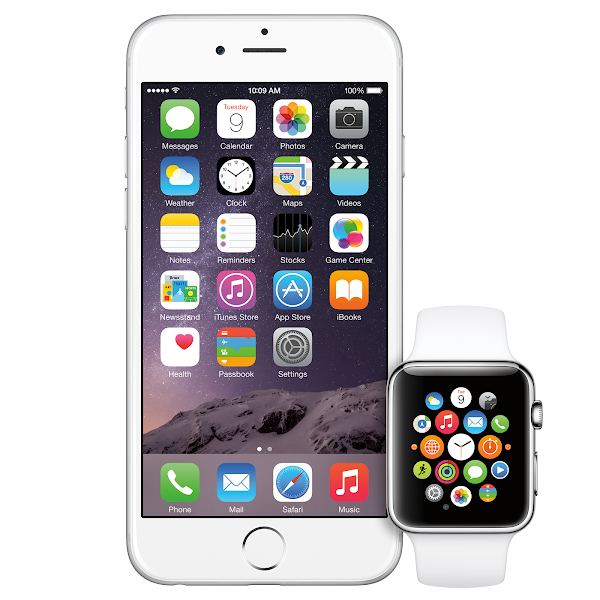 Apple has introduced a new form of navigation they are calling the "Digital Crown". This jog dial which is found on the side of the display allows you to cycle through menus. 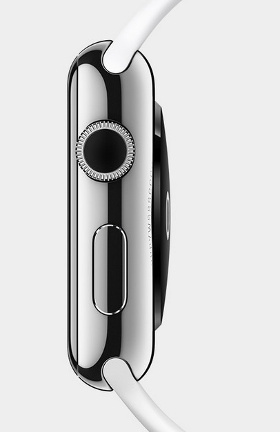 The Apple Watch also comes with Infrared and visible-light LEDs, along with photo-sensors, detect your pulse rate. Meanwhile Siri is also present allowing you to control various actions with your voice. Besides the digital crown, Apple Watch features a touchscreen that can also sense force (via a new 'Taptic' engine), so it knows how hard you touch it and reacts differently. Apple calls the harder touch Force Touch and it basically acts as a right mouse click. However, a lot of the navigation will happen via the new Digital Crown: press it and you go to the main menu (or rather watch face), an iPhone-like simple touch that will take a lot of the confusion away. What else can you do on the Apple Watch? The simple answer is: a lot. You have plentiful watch faces that are customizable, you have contacts that you can text with customizable emoji and with gestures (but there is no on-screen keyboard), there's even a photos app with your latest pictures (and you zoom in and out using the crown). Next, you've got maps with navigation, so you can find your way around just by using the timepiece. 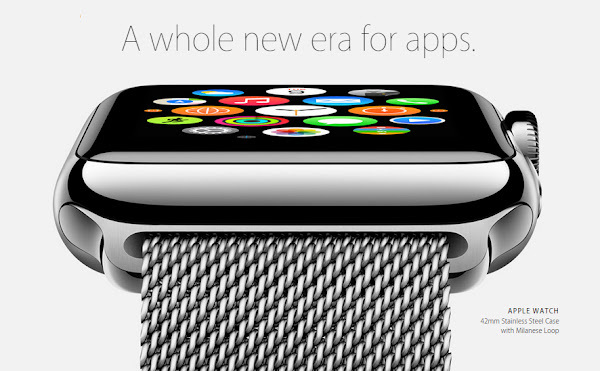 There are almost limitless capabilities since Apple is opening up access to the Watch with an SDK it calls 'WatchKit'. Some developers have already made use of it, and the major apps from services like Facebook and Twitter will come built right in the watch. Others have also jumped in: you have American Airlines, for instance, City Mapper, BMW, and many more. 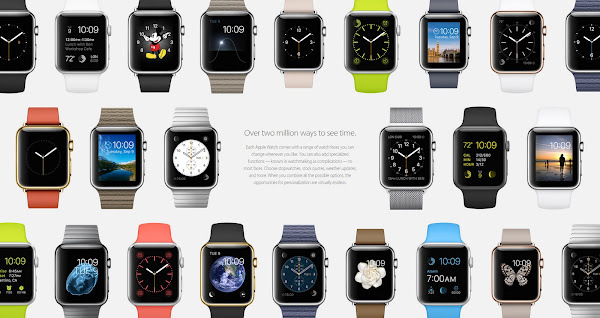 The Apple Watch is different than what everyone expected. And that may turn out to be a good thing. 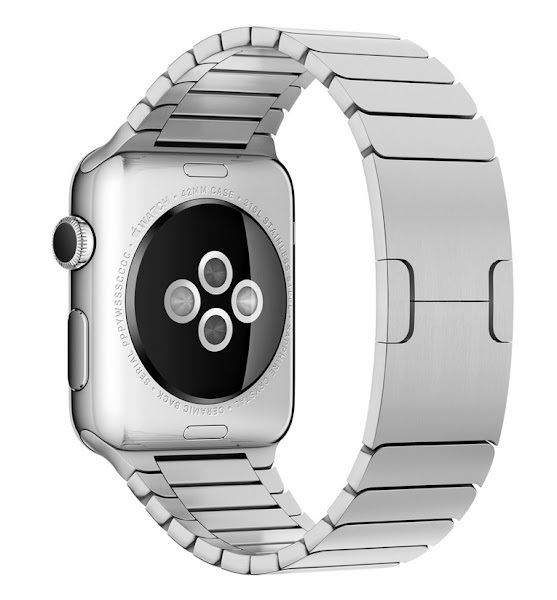 It's a device that does is neither trying too hard to look like a classic watch, nor trying to be vastly different. It seems that its design and style is dependent a lot on the functionality, and Apple has even introduced a brand new rotary crown to help you navigate around on the small display. The Watch will feature different sizes and plenty of bands to truly fit everyone's needs, but there won't be a round one. 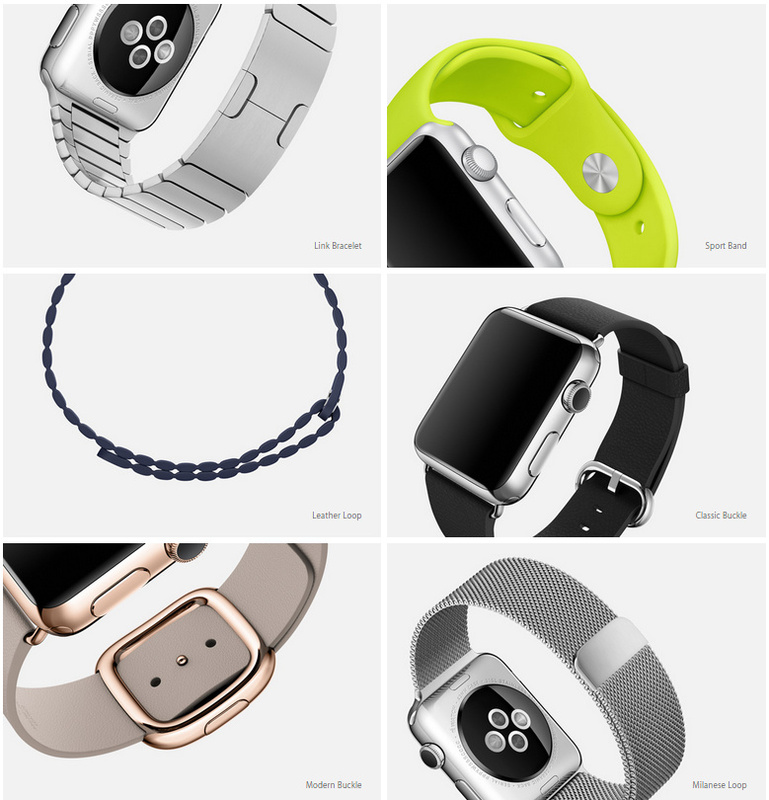 Here are the design highlights of the new Apple wearable. 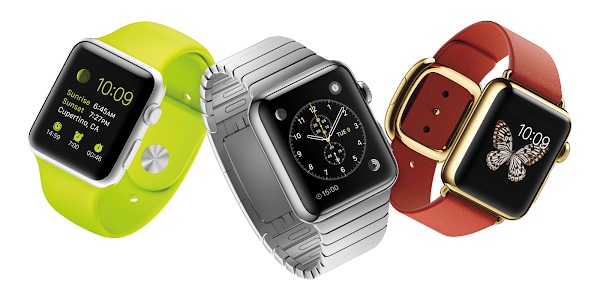 The Apple Watch "can be worn all day, in any occasion," according to Apple CEO Tim Cook. We take this as a hint that the battery will last a day. The one major challenge for Apple with such a comparatively small display was how to enable one essential move - zooming in and out. Pinch to zoom simply would not work on such a small screen, as it’d basically cover up the screen, so Apple had to invent a different method to get up and close with the interface: the Digital Crown. It’s a glorified crown, with a stand-out design (and yes, it reminds us of the good old jog dial) - it moves easily allowing you to zoom in and out, and scroll through lists quickly and efficiently. 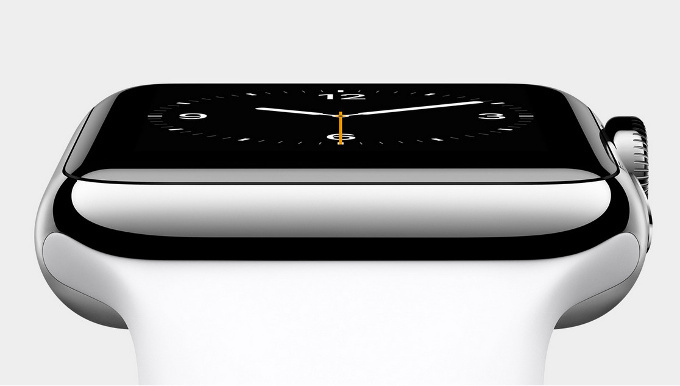 It is also the main element used to navigate around the main menu of tiny icons on the Watch. This whole new interface comes to life as tiny electrodes around the display recognize the difference between a tap and a press: a press shows contextual controls, it’s a bit like a right click on the mouse in Windows. Simple. Having such a small display requires a new and creative approach to communication: typing on a keyboard on a tiny screen is definitely no fun. That’s why Apple has developed a whole range of new communication options. The technology that enables this is a linear actuator that provides haptic feedback, so your timepiece vibrates when one of your contacts sends you a doodle, or a tap to remind you that he’s thinking about you. You, on the other hand (quite literally) can do the same. Moreover, you have customizable emoji that seem like a really fun way to send an illustration of your emotions, without having to write much. The Apple Watch comes with two dedicated apps to help you stay in good form physically: Fitness and Workout. With a specially designed heart-rate sensor, it keeps track of all your exercises. The killer feature for 9to5 office workers, however, might be the fact that it detects whether you have been stationary in the last hour and urges you to stand up for at least a minute every hour. A little something that can have a huge impact on your health. While we have seen so many new watch faces in Android Wear devices that have been unveiled recently, none come close to the sophistication that Apple teased in the new Apple Watch. 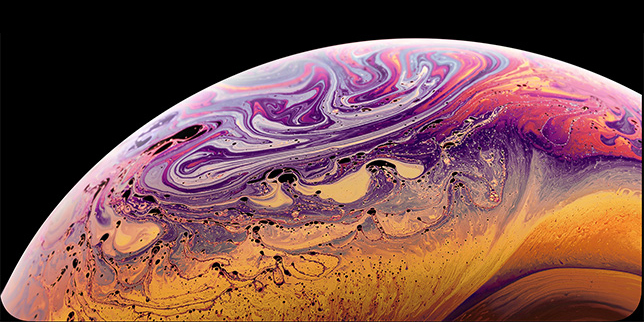 With animated high-resolution pictures that come to life, the difference between those new Apple watch faces and those we've seen beforehand is comparable to the difference between live wallpapers on Android and static ones on the iPhone. Apple knew that one size simply would not fit all (a lesson it seems to have recently learned with the iPhone), and that’s why we are seeing the Watch come in two sizes: 38mm and 42mm. Apple has got something for every taste with three different leather bands, a link bracelet, a Milanese loop, and a band made from high-performance fluoroelastomer. The Watch is fully integrated to work with Apple Pay, and the company has reassured consumers it is a safe way to shop. 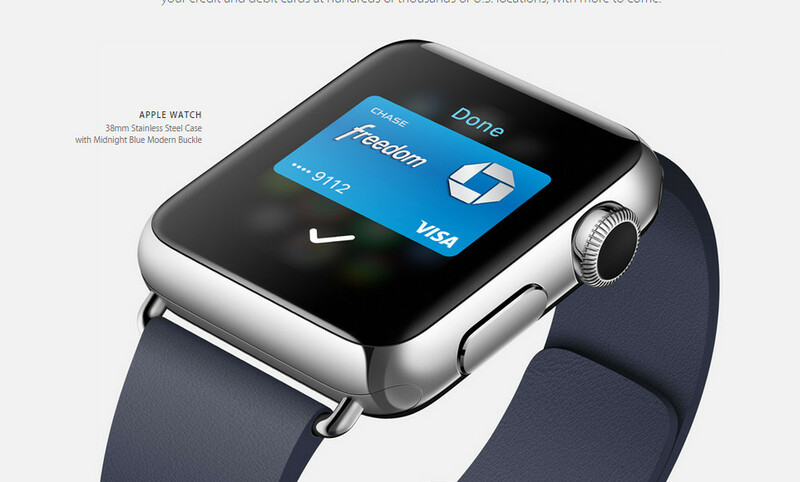 Moreover, you will be able to use Apple Pay at retailers like Starbucks, McDonalds, Apple Store, and many more. There are two apps on the Watch in particular that will try to push you into leading a healthier life. 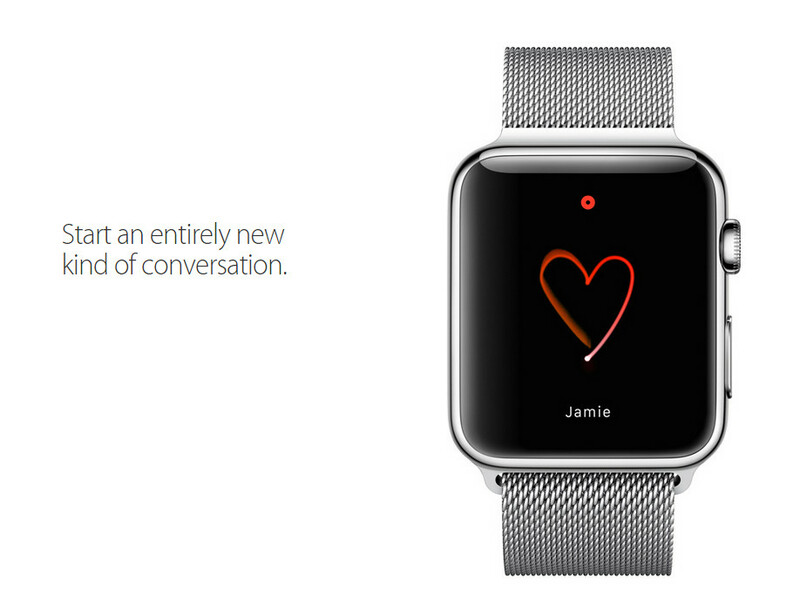 Both of them will integrate with the new HealthKit app and will give you health stats. The unique new interface of the Apple Watch is completely open to developers to transform and to to it what they did with the iPhone - fill it up with great apps. This will happen via a dedicated WatchKit SDK. 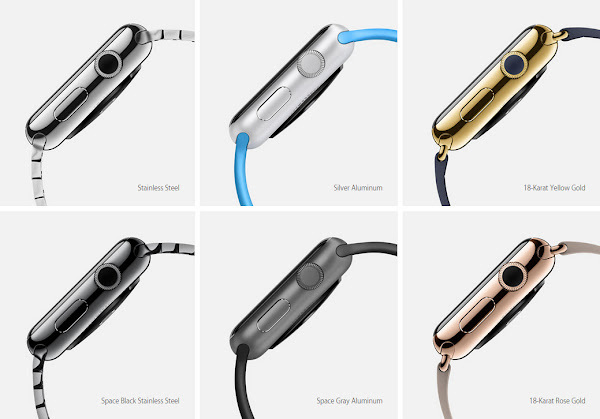 The Apple Watch is not a stand-alone devices - instead, it acts as an accessory to the iPhone, and will require one. The new wearable will be compatible with iPhone 5 and later, while owners of iPhone 4s and earlier will need to upgrade to use it. 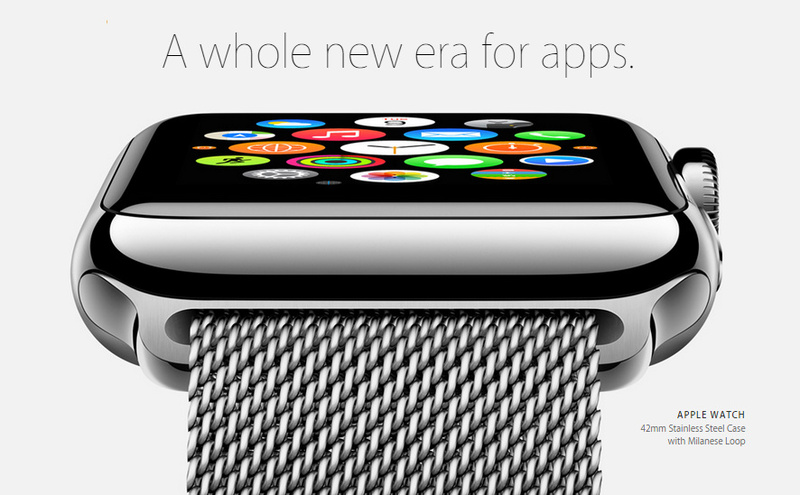 The Apple Watch is only getting officially announced today, but will arrive on the market in early 2015. There will be three variants coming: the Apple Watch (made of stainless steel), Apple Watch Sport (using anodized aluminum), Apple Watch Edition (with 18-karat gold). 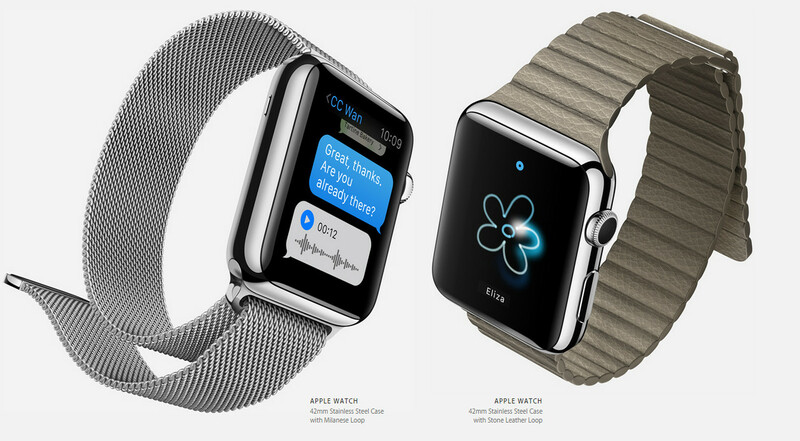 The price is set at $349 for the basic model, and there will be three different models.